Mab Dab goes one better. 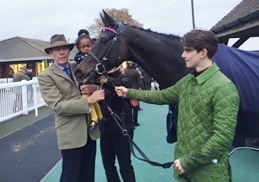 Mab Dab improved by one place on his recent Plumpton 3rd by finishing 2nd today in a handicap hurdle at the same course. Ridden by Jack Sherwood he was dropped out at the rear of the five horse field and was kept to the better ground towards the outside in the three and a quarter mile contest. He was a little sloppy at the fourth flight but otherwise jumped well on the first two circuits. He took closer order up the hill for the final time and was two lengths behind the joint leaders when he slipped on landing over the third last. He now found himself eight lengths behind with momentum lost. 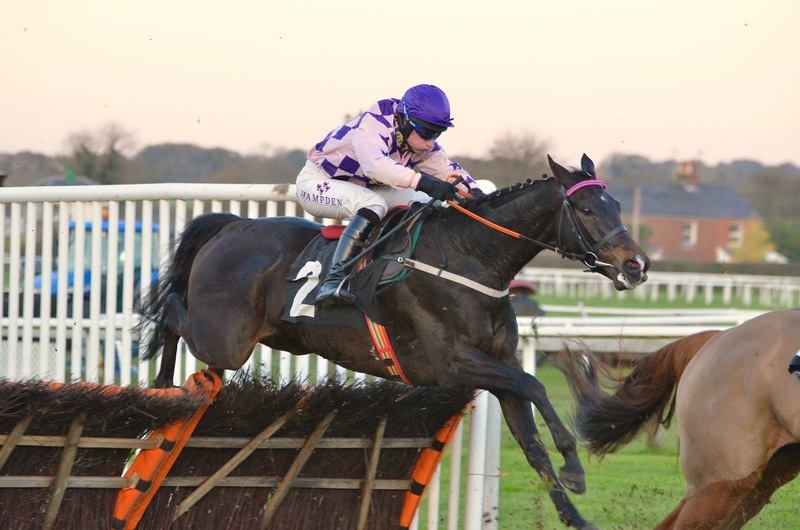 The eventual winner easily pulled clear but Mab Dab was able to keep going to pass the rapidly tiring second placed horse to take the position for himself. On top of this good performance Mab Dab also won the "Best Turned Out" award. 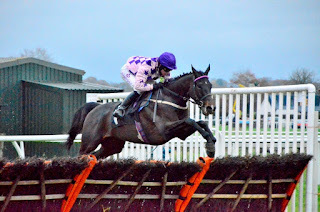 This followed and encouraging run from Hab Sab who finished 5th of eight in the same ownership in the novices' hurdle. Owner Tony Betteridge with Mab Dab after his finishing 2nd. Promising start to the new jump campaign. Linda had her first jump runner of the autumn today and it proved to be an encouraging start. Mab Dab competed in a 2 and a half mile conditional jockeys handicap hurdle at Plumpton. Ridden by Jack Sherwood he was soon prominent, travelling in second place for the first circuit and a half. He pushed on with the leader down the back straight but came under pressure from two horses from further back turning for home. 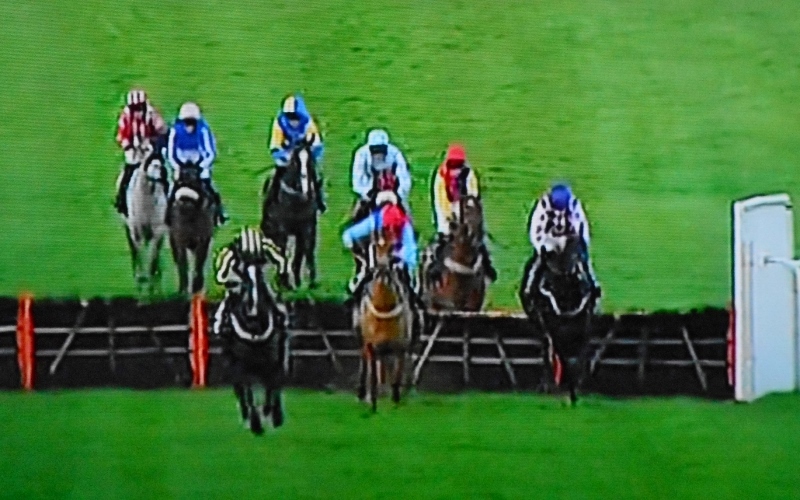 He kept going, jumping well, to the line and finished a pleasing third. Mab Dab (extreme right) over the final flight.